The Router is a smart NMEA 0183 and SeaTalk multiplexer which also allows you to see data from marine devices on a PC or smartphone. With it, you get marine network data including vessel course, speed, position, wind speed and direction, water depth, AIS messages from vessels and aircraft and other navigation data in popular software applications. The Router has four physical NMEA 0183 ports (four inputs and four outputs) with configurable speed from 300 to 115200 baud. This allows organization of data exchange between multiple devices with different speeds. Multiple physical listeners can be connected to the Router's outputs. SeaTalk is a proprietary binary protocol of Raymarine company. It allows co-existence of multiple devices on the bus, so the Router has only one SeaTalk port. A bi-directional converter between SeaTalk and NMEA 0183 supports all known SeaTalk datagrams, including autopilot. 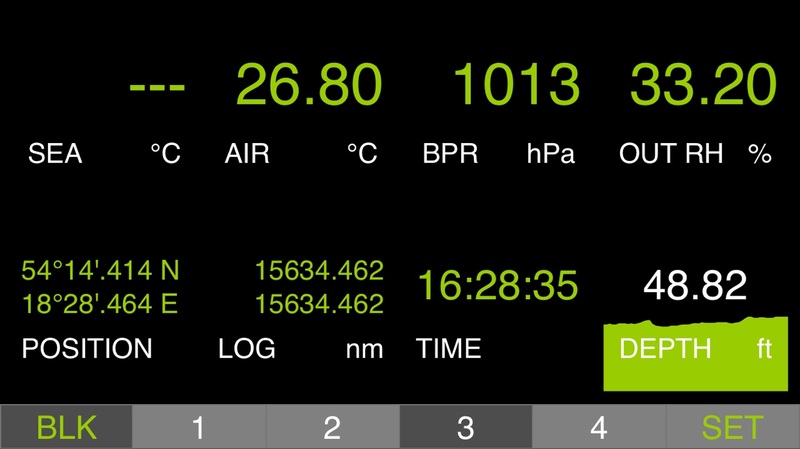 This allows controlling SeaTalk autopilots from NMEA 0183 chart plotters and marine apps. The Router creates its own Wi-Fi network (with range of about 30 meters in open spaces) or it can be connected to an existing Wi-Fi network. The Router has three network data servers which can be configured for UDP or TCP network protocols. For UDP protocol, the number of clients (physical devices or software applications) is unlimited. In the routing settings, you can select one or more outputs (physical port or TCP/UDP server) for any data source, including the same port or server from which data is received. The Router supports TCP and UDP network protocols (both can be enabled at the same time). It is compatible with virtually all marine software, including OpenCPN, iNavx, Navionics Boating App, MaxSea and others. But to see the data, you don't need to install applications! Router has colorful web-based gauges on an internal web site, and you can see the wind, engine, tanks and batteries, course, speed, depth and other data right from a browser. 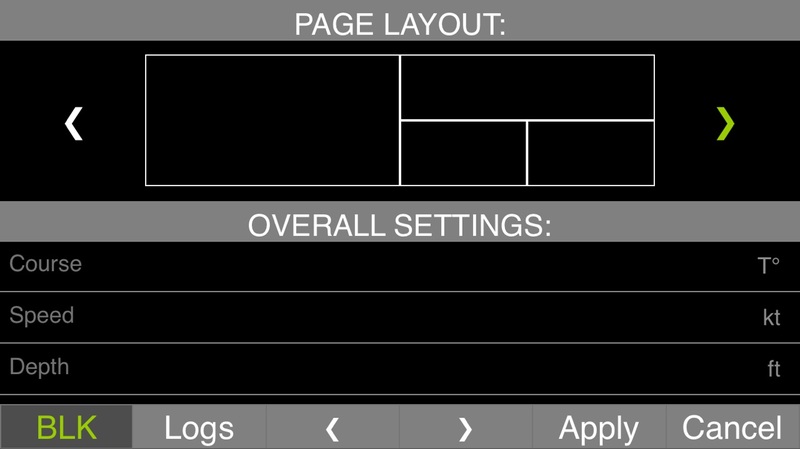 You can customize any page's layout and its sets of data bars. You can even watch NMEA logs! 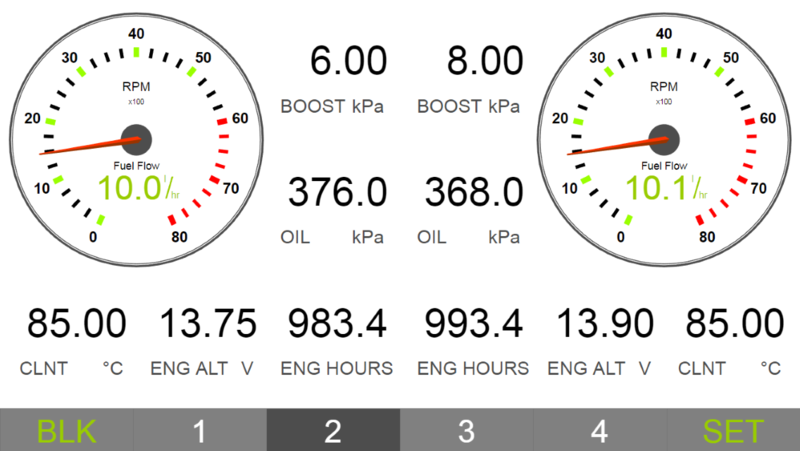 Save on apps, save on additional instrument displays and monitor your boat from your sofa with a smartphone! No internet connection is required and it is free. See this guide to learn moreabout the built-in web gauges. Or see this video! To change the Router's settings, you need any Wi-Fi enabled device (laptop or smartphone) with any web browser. In the routing settings, you can select one or more outputs (physical port or TCP/UDP server) for any data source, including the same port or server from which data was received. Multiple data sources can be selected for any physical or network output. Individual data filters can be defined for incoming and outgoing NMEA 0183 or SeaTalk data at any physical port or network server. This allows reduction of traffic on slow connections. The default NMEA 0183 speed is only 4800 baud and that is not enough to transfer AIS data, for example (AIS uses 38400 baud speed). A pair of Wi-Fi Routers can act as an NMEA 0183 or SeaTalk wireless extender and allows joining of two or more physical devices. To pair the Routers, you need to set up both using UDP protocol and set the same port number. You can also pair this Router with Yacht Devices NMEA 2000 Wi-Fi Gateway in the same way. Its server should be configured to NMEA 0183 protocol; this supports bi-directional conversion between NMEA 2000 and NMEA 0183. This forms a wireless bridge between an NMEA 2000 network and NMEA 0183 devices. The Router automatically records your track with weather, depth and other data to the internal memory (up to 32000 points). These data can be saved from the internal web site to GPX (for Garmin MapSource, Google Earth or other cartographic applications) or CSV (spreadsheet) files. contains an internal web server for diagnostics, firmware updates and configuration. Despite the fact that the Router case is waterproof, the terminals are open and seawater can cause a short circuit. Do not place the device where it can be flooded by water, get wet in the rain or be sprayed with water.